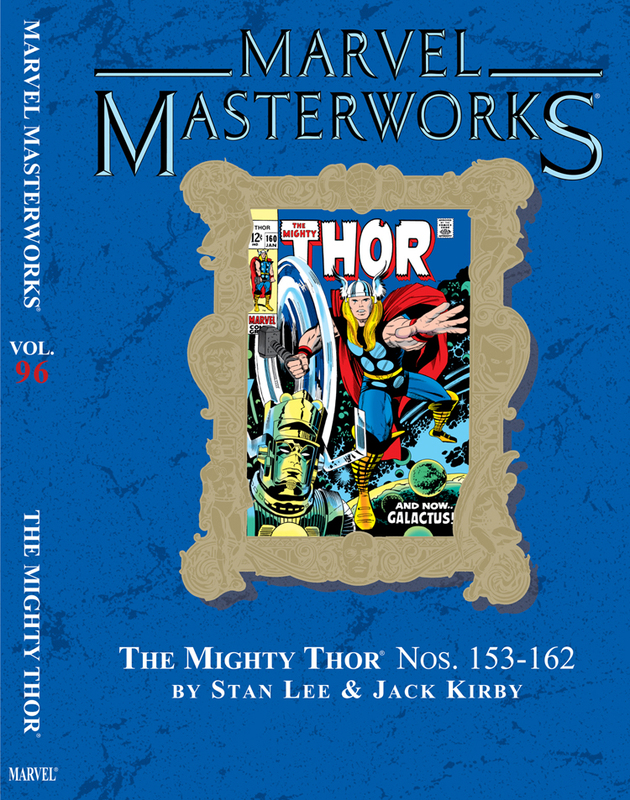 The epic saga of the God of Thunder continues as the Marvel Masterworks present another volume of Mighty Thor masterpieces by Stan Lee and Jack Kirby! 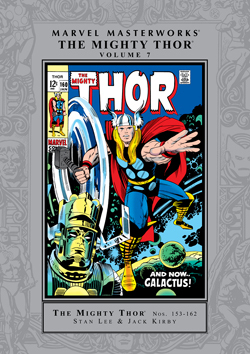 And there’s no holds barred from these masters of storytelling from page one: The evil Loki, God of Mischief, has created a dilemma of Asgardian proportions (’natch!). Only with the medical skill of his guise as Dr. Donald Blake can Thor save the life of the lovely Lady Sif, but only with the power of Thor can he keep Loki at bay! Meanwhile, in the darkened depths, a threat greater than any Thor has ever before faced rises when the malignant Mangog threatens to unsheathe the Odinsword and bring Ragnarok upon the Norse gods. 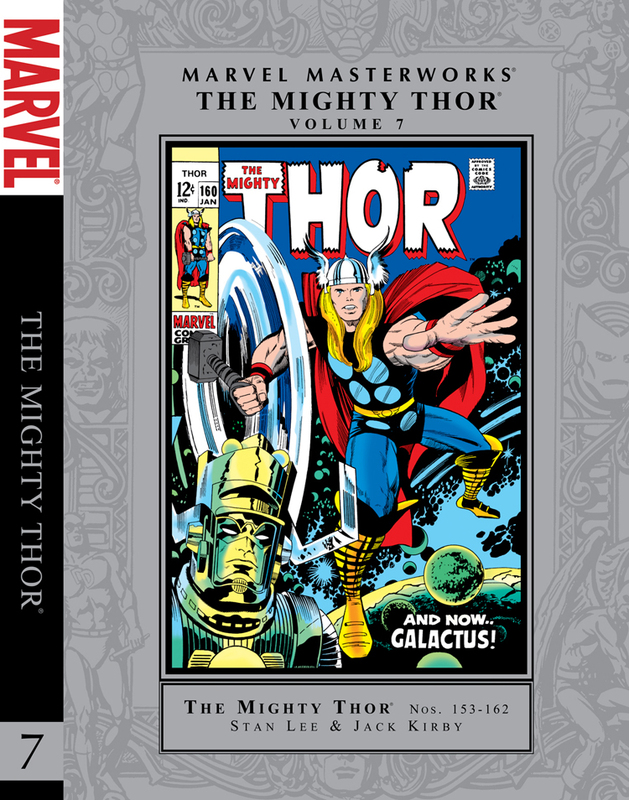 It’s a tale considered by many to be Lee and Kirby’s most-pulse pounding Asgardian epic—need we say more? We do! Because with Stan and Jack there’s always more amazing revelations around the corner. 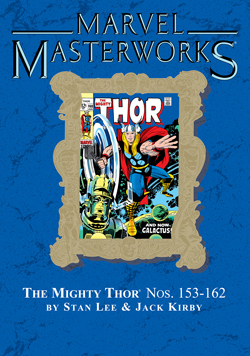 Like the startling secret hidden from Donald Blake and a galaxy-spanning adventure that includes the origin of Galactus and a melee that pits Thor and Ego the Living Planet up against the infamous world devourer!